More than a 100 million residents of India can now use an Internet.org app on their phones to connect to online social networks and search the web for news and medical tips without having to worry about mobile data charges. 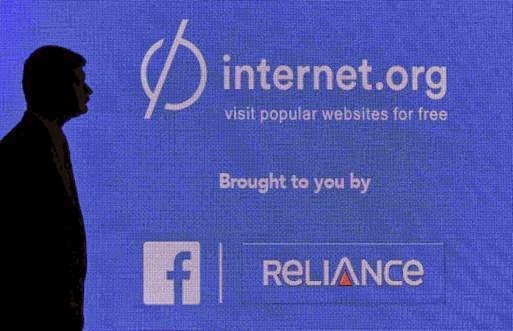 A tie up between Facebook Inc. and Reliance Communications launched the app here Tuesday in an initiative to provide basic Internet access for those who can’t yet connect for free. The service has so far been available in a handful of African countries and Colombia through tech companies including Ericsson, Nokia and Samsung Electronics. Now, it is making its way to India’s billion-plus population. The app – predominantly aimed at low income and rural users – isn’t available to all Indians yet. It can be accessed only by Reliance subscribers in six Indian states who own handsets capable of handling Internet traffic. Using the app, those customers can gain free access to at least 38 web services – a mix of news, music, travel, local jobs and education, farming, weather and health websites. The list includes Wikipedia, Dictionary.com, TimesJobs, Reliance Astrology as well as Facebook’s own social network and messaging services. Most of the services on Internet.org are available in English and six Indian languages — Hindi, Tamil, Telugu, Malayalam, Gujarati and Marathi — and can be accessed through an Android app. The launch is the first step on a path to “provide Internet access to more than a billion people in India who aren’t yet connected,” Facebook said in a statement Tuesday. During a visit to India in October, Mr. Zuckerberg announced a contest during last year’s summit where a total of more than $1 million would be awarded to app, website or service developers that come up with innovative ways to help women, students, farmers or migrant workers online. ndia, the world’s second-most-populous country, after China, is a vital market for Facebook. The social network is basically blocked in China. There are now over 108 million Facebook users among India’s 1.2 billion people, up from eight million in 2010. Still, with about 85% of its citizens offline, India has more citizens without Internet connections than any other nation. That low Internet penetration rate represents a significant opportunity for Facebook as well as a large barrier to expanding in a country where most people earn less than $5 a day. 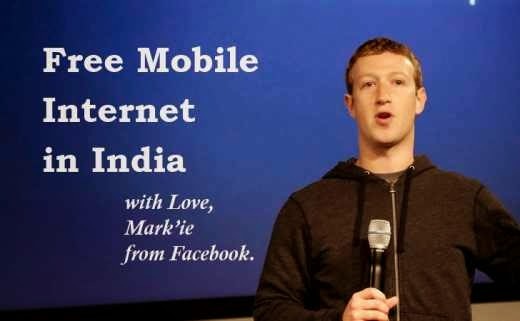 Mr. Zuckerberg said there was “still a long way to go” to connect India. But by providing people with free basic services, “more change” can follow quickly, he said in his Tuesday statement. 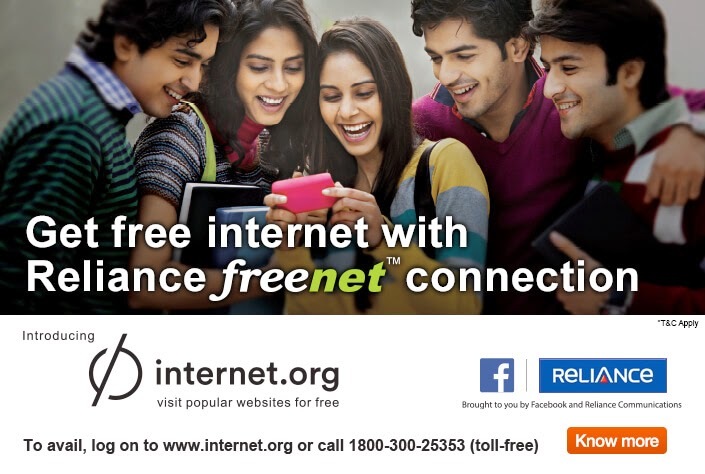 Internet.org aims to connect Reliance Communications (RCom) subscribers to free internet – although only across their list of 33 websites and services. The bouquet of services span across genres having a healthy mix of news websites such as BBC News, IBNLive, Times of India; educational services such as Wikipedia, Translator, wikiHow; sports websites; Health and welfare services such as BabyCentre, iLearn, Socialblood and so on. According to RCom, these services will be available for free to RCom subscribers. You can either log on to www.internet.org or call 1800 300 25353 which is a toll free number, to get Internet.org activated. Reliance has said that Internet.org works as a mobile website on feature phones, whereas with Android phones, you can download an Internet.org app. On logging into Internet.org, you are presented with two tabs – Free Services and Reliance. The Free services tab, as the name implies comprises the 33 content partners and services which Facebook and Reliance have partnered with to provide free internet access. At the moment there are 33 services, across languages such as English, Hindi, Tamil, Telugu, Malayalam, Gujarati and Marathi. More services and languages will be added in a phased manner. It is interesting to note that Facebook has only given Facebook Messenger and a lite version of the Facebook app for Internet.org. There are no other social networks on board at the moment, not even Facebook owned messaging service WhatsApp. Even with Facebook, there is a catch. For an image heavy social network, RCom will only offer you the option to read and post status messages, like or comment on statuses and pictures. But the pictures themselves will appear blurred and to download these images, you will either need a data plan, or you can activate data connection for Rs 9 per day or Rs 15 for a 15-day pack. The Reliance tab advertises RCom’s data plans which includes 2G Pack (1GB 2G data pack with free Twitter / Facebook / WhatsApp for Rs 9 for one day), Facebook Pack (Rs 15, unlimited Facebook access for 15 days), WhatsApp pack (Rs 15, Unlimited for 15 days) and so on. RCom has assured that Internet.org will work with any internet-enabled phone, which includes smartphones as well as feature phones. It will appear as a mobile website for most phones. The Internet.org app is only available on the Android platform at the moment. There was no word out on when it will be available on other platforms, so people using other mobile OS, will have to go online via the Internet.org mobile website only. Bing is the default search engine. Facebook has also partnered with the government of Andhra Pradesh to come up with the app APSpeaks. This app lets regular citizens put forth their greviances to the Andhra Pradesh government. Page-loading on the smartphones wasn’t much of an issue, but with a feature phone, the page loading was painfully slow. Of course, there are a lot of factors which can affect page-loading speeds such as network connectivity as well as the make of the phone. But the demo showed to us had a two-year old feature phone which took over a minute to load a text-heavy page. According to Facebook, it has worked with a lot of content partners to help optimise the content in a way that uses limited bandwidth. RCom representatives would not give an exact number of data transfer speeds one can expect with Internet.org. The service has apparently gone live for all RCom users in Mumbai. The rollout for Maharashtra, Kerala and Gujarat will happen tonight with other states expected to get on board soon.